Machine quilting takes the art of quilting to the next level. Here you can find information about the different types and styles of quilting, their history as art forms along with resources. What sewing machine embroidery is, how is it different from hand embroidery, other than that you use a sewing machine? What are the tools needed for the craft, and some of the resources for learning. Continue reading "Sewing Machine Embroidery -The Jewel In The Sewing Crown"
Sewing Resources in one place such as information about sewing schools, recommended sewing books, sewing related sites and much more information to really help those interested in sewing. Continue reading "Sewing Resources – A Treasure Trove Of Helpful Information"
Information on starting an embroidery business and where to find it. Continue reading "Starting An Embroidery Business"
Information about other sewing tools that can make a project easier, and what these are. Continue reading "Other Sewing Tools That Can Make Sewing Tasks Easier"
Teaching kids to sew can be fun, and if you think that you have the patience to teach kids there is information about becoming a sewing teacher for kids and how to become one. Continue reading "Sewing Teacher For Kids"
Information about the creative Pfaff sewing machines innovations, including their designs in sergers and embroidery machines along with machine quilting and computerized machines. Continue reading "Pfaff Sewing Machines - A Company With Creative Energy"
PBS sewing programs on public television are one of the best inventions for sewing lessons in an informal setting. Information about how to find these programs. 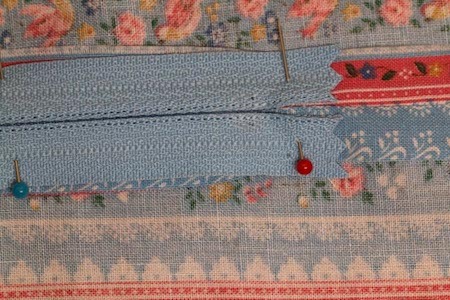 Continue reading "PBS Sewing Programs Are A Great Source of Sewing Lessons"
Step by step photos showing how to sew a zipper in a seam. 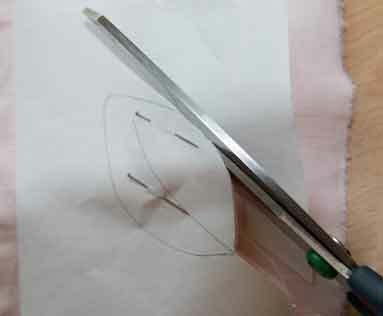 Continue reading "How to sew a zipper in a seam"
Continue reading "How to do machine applique - step by step"